Admissions - Little Sisters of the Poor Kansas City - Visit today! The purpose of these questions is to begin to discern if the individual’s needs and desires would be met through the services of Jeanne Jugan Center. If this seems to be the case, we will arrange an interview at Jeanne Jugan Center with the individual or family member, or send an application. 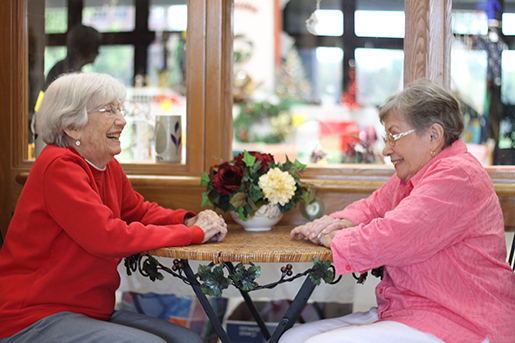 You should know that we do not generally admit directly into the skilled nursing unit. These rooms are usually reserved for Residents in the assisted living or apartment areas who require a higher level of care due to the onset of illness or disability. If we feel that we are not able to meet a prospective applicant’s needs, we will be happy to suggest other facilities and resources in the community which may be helpful.